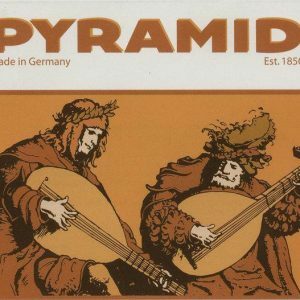 The original and best Oud strings in the world… these strings are manufactured in Germany by industry leading company: Pyramid Lute – founded 1850. They make strings for all kind of stringed instruments including the sitar, treble lute, ukulele. Their meticulous string specifications give your Oud the very best possible sound. These strings are chosen for our students at the School of Oud, for their specifications and sizes.